By Emma Sparrow, Children and Young People’s Engagement Manager at the Royal College of Paediatrics and Child Health. Emma leads the RCPCH &Us network, which represents the voice of children, young people, parents and carers – created to actively seek and share their views to influence and shape policy and practice. World Obesity Day 2018 is looking at the issue of “weight stigma” which refers to “negative behaviours and attitudes that are directed towards individuals solely because of their weight” (WOF 2018). This issue has been explored by children and young people from the RCPCH &Us network. Children and young people across the engagement sessions with RCPCH &Us have commented on the drivers and impact of weight stigma on individuals and have created solutions to improve support services and systems. We strongly believe in the UN Convention on the Rights of the Child, where children and young people are supported to be involved in decisions that affect them. By working using the theory of participation and coproduction, children and young people need to be at the centre of developing solutions and working collaboratively to improve services and tackle obesity together. This blog highlights some of the thoughts and opinions that children and young people have shared with us about weight stigma, growing up in unhealthy environments and the impact of sugar on health. They wanted to know why it only took place in primary schools, saying “it’s like we don’t matter when we are older. We don’t get checked at secondary school and that’s when we probably need more help”. They suggested that for things to change there should be programmes for all children and young people, of all ages and weights, so that no one was targeted for being overweight, teaching everyone how to make healthy choices, to eat well and to develop positive relationships with food and physical activity (RCPCH &Us Voice Bank 2018). Families living in temporary accommodation can be particularly impacted by weight stigma. These families have told us that they want support and recognition of the challenges they face in cooking healthy food and for themselves and their children – “we have one hob to cook on which makes cooking healthy food difficult because we don’t have an oven. I bought a blender to do smoothies but not everyone knows to do that so I see all the children with friend chicken all year round” (RCPCH &Us Voice Bank 2017). They want health care professionals to be more open to talking about the impact of living in hostels has on other aspects of their health such as weight management and for all workers to be aware of putting them in situations where they feel judged, such as where children and young people may be overweight. These views echo the weight stigma mind map from the World Obesity Federation, noting effects include low self-esteem, anxiety, fear of being stigmatised or criticism, social rejection or pressure to appear healthy (WOF 2018). A series of actions have been suggested to help tackle weight stigma and promote healthier lifestyles, including “Government action to improve the environments we live in, rather than focus on individual responsibility and blame”. These are sentiments that were shared by over 100 children, young people and family members who took part in roadshows looking at relationships to fast food, brand awareness and the impact for families living in poverty. Young people identified that “there are loads of burger and chicken shops near my school. The advertising is just in your subconscious” and that they felt that “companies don’t tell the truth about what they put in the food”, and that they “know it’s unhealthy but it’s cheap and we like it”. They felt that government had a role to play in stopping it being sold to children and young people, in making it more expensive as well as making it less accessible and not available near places like schools (RCPCH &Us Voice Bank 2017). 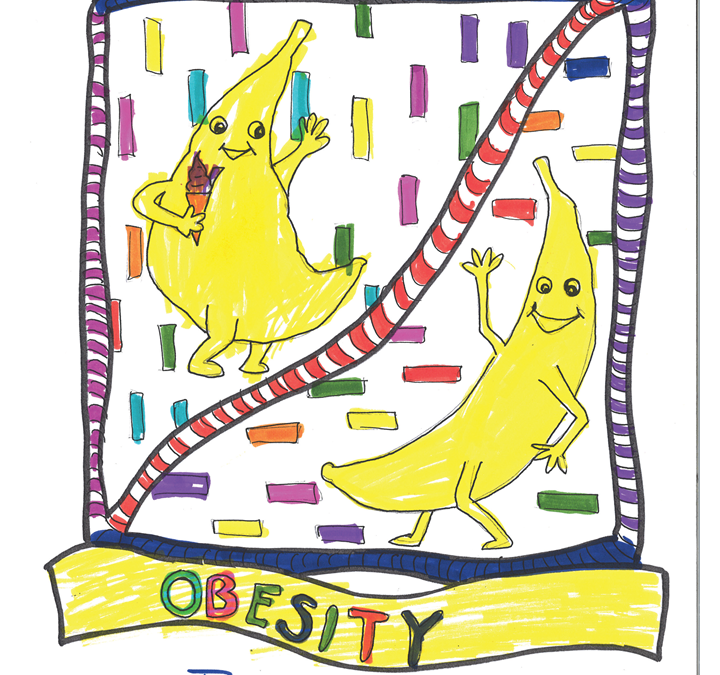 In January 2018, a group of year 4 children from a primary school in London, presented at a Westminster event their thoughts after project work with RCPCH &Us on hidden sugars in food. The children looked at reducing sugars in foods that are aimed at children like breakfast bars, the need to improve food labelling so that it makes sense to all ages and that “children need adults to do something to help us”. You can watch their messages in the short video Sugar &Us here. We know that obesity significantly increases the risk of developing potentially devastating conditions such as Type 2 diabetes, cancer, stroke and heart disease in later life. Much has been said about the importance of acting now to tackle childhood obesity, which will improve the health of future generations to come. We completely agree, but it is imperative that any action we do take is informed by the views of children and young people themselves. It is, after all, their future we are talking about!